True Balance is one that will resonate with everyone who feels over-scheduled, overworked, and overwhelmed. 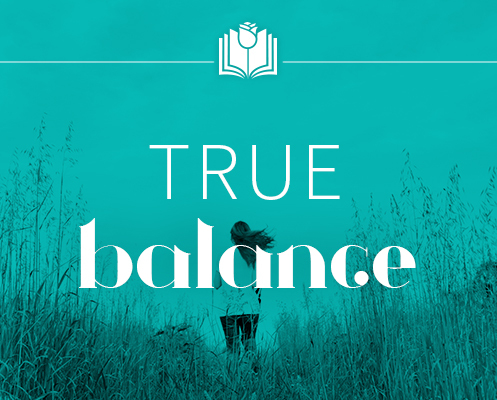 True Balance is a powerful, yet easy to use course, that will help you move through life’s sticky points. A Common Sense Guide for Renewing Your Spirit and Specific Remedies for Your Soul. Now more than ever this course will help guide you and keep you grounded. If your goals for yourself aren’t being met and deep inside your heart there’s an empty void, you’ve probably been looking in the wrong places for a solution. You see, when most people have a problem they run to others for help including teachers, therapists, parents, and friends. But that’s not the place to find solutions. The answers are hidden deep within you. And I’m going to show you the simple ways to uncover them and claim your truth. I have made the goal of balancing your life simple to obtain and in just a moment, you’ll find out why I’m so excited about this course. I’m Going to Personally See You Through From Beginning to End! Your life will – bit by bit – start to get grounded. Watch over 3 hours of video lessons. Receive True Balance Wisdom Flash – A Journey of Peace. Download 9 True Balance audio songs. Over 75 creative ideas for healing your energy imbalances, easily read with over 40 downloadable pages! Sonia will look at your strengths and weaknesses so you can improve your balance. Yes! Once enrolled you’ll have direct access to Sonia via the course. Brand New Energetic Chakra Meditation. True Balance embodies the wisdom of the heart and the most practical, grounded advice for living in harmony with your own self. These exercises will restore joy and success in the most important parts of your life. Take Advantage of Our Special Sale Price and get your personal email directly from Sonia!! !